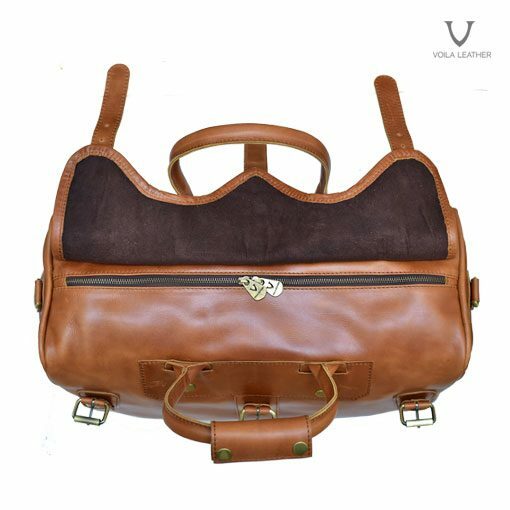 Voila Leather launch Voila Alister Travel Bag, a travelling bag or usually called duffel bag or travel bag using vintage textured genuine pull up cow leather. 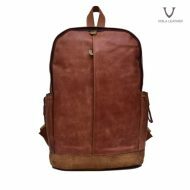 This serie is a large sized bag to carry more baggage for when you have to travel further away from home. 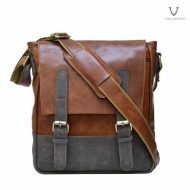 It can also be used as a fitness or gym bag. 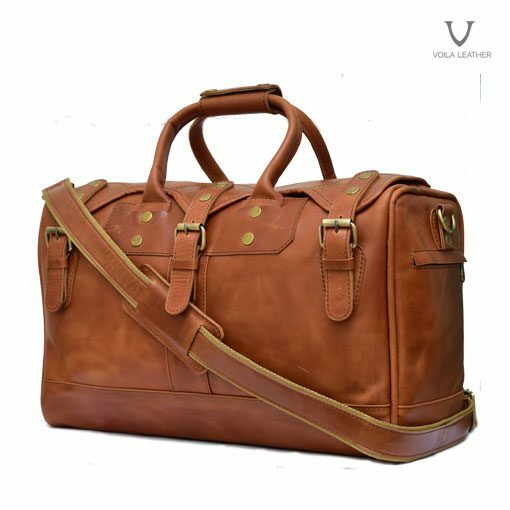 Voila Alister is one of the duffel bag or travel bag category. 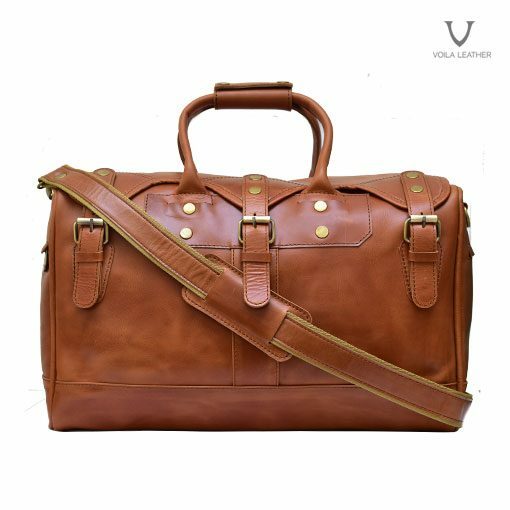 Voila Leather launch Voila Alister Travel Bag, a travelling bag or usually called duffel bag or travel bag using vintage textured genuine pull up cow leather. 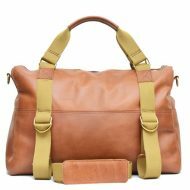 This serie is a large sized bag to carry more baggage for when you have to travel further away from home. 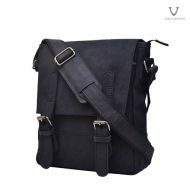 It can also be used as a fitness or gym bag. 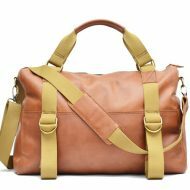 It is one of the duffel bag or travelling bag category. 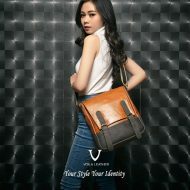 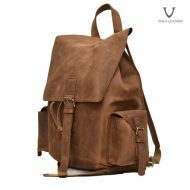 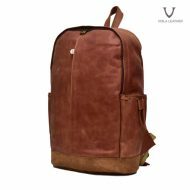 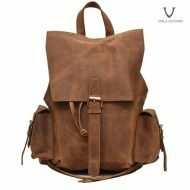 Voila Alister has a classy classic vintage design, strong and sturdy, safe with 3 buckled cover lid, completed with main zipper, and 2 small pockets of the left and right bag side, so there are many pockets featured on this bag. 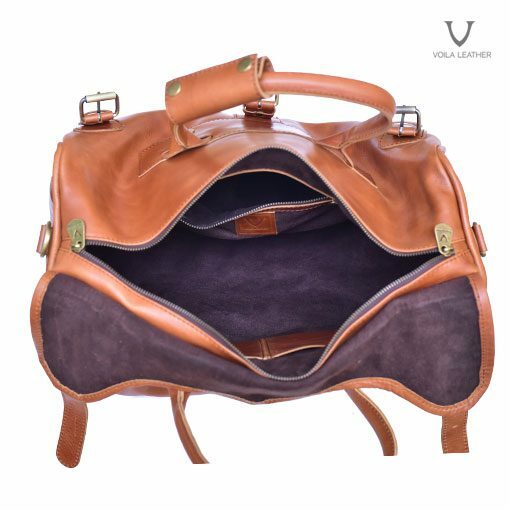 Voila Alister has a large chamber, just enough space to carry your travelling clothes and equipments, its interior is lined with smooth velvet, so it is safe for your valuables. 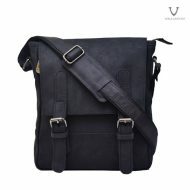 It is also designed with one zippered pocket and two small pouches. 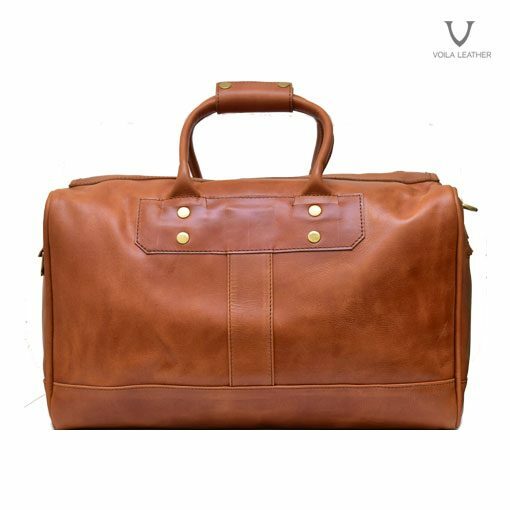 Voila Alister Travel Bag is made of havana colored genuine pull up leather, a large elegant bag for you to carry on your travels. 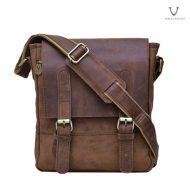 This bag is also equipped with a strap, making it possible for you to sling it over your shoulder instead of carrying it by its handle. 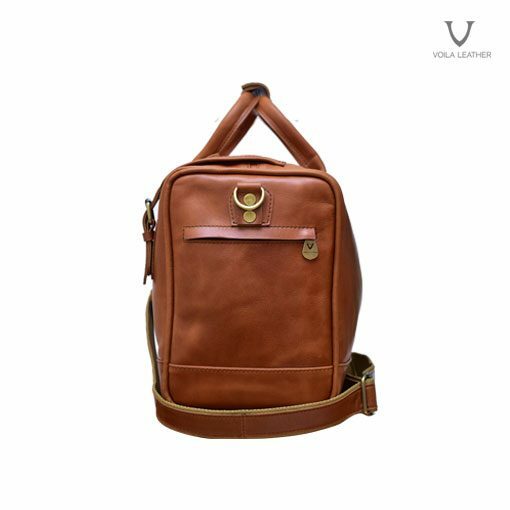 On its outer side, there is a zippered pocket to store your small trinkets, such as tickets and so on. 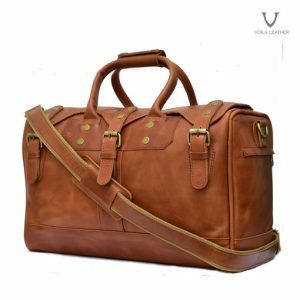 If you travel often and in need of a classic elegant vintage genuine leather travelling bag, Voila Alister Leathe Travel Bag is the right choice.